Originally from the UK, Ahtayaa Leigh is a successful Energy Healer and founder/guardian of the popular and powerful Golden Ray Initiations, a series of potent energy healing activations that work with the Golden Ray to activate and ignite your Golden Merkaba of Light through a process of initiation and purification. Having walked the path of transmutation and spiritual rebirth, Ahtayaa's life work is now dedicated to guiding others through the process of deep healing and transformation. Her most heart felt passion is helping other healers truly embrace their innate healing gifts and honor their journey of Self discovery. At the planetary level, Ahtayaa leads ceremonies and activations to support the healing of Mother Earth and collective humanity. In December 2017 I found myself sitting at the nursing station at work sunken deep in dismay. A registered nurse at a level one trauma center on an orthopedic trauma floor I was surrounded by all types of energy, most of which was negative. I had been in nursing for over ten years. I love nurturing. I have always felt deep satisfaction from helping others. I had come to the conclusion given the current state of healthcare systems operating with big business mannerisms and the consistent ill state of society I was not helping others to heal. Evolving spiritually myself, I had prayed for guidance and better understanding. Sounds cliche, however, it is true, I was playing around and researching online and Academy of energy healing came up. At first, the pull was so intense I misinterpreted the sensation as skepticism and questioned the validity of the academy like," this has to be too good to be true!". I read over the testimonies provided and began to feel an ease as others shared experiences that were so genuine and uplifting. After printing off Ahtayaa's personal greeting I was convinced and purchased the course. Initially, I saw the course as a way to inform myself and be able to incorporate the knowledge of energy healing to incorporate additional treatment options to the patients I cared for. Maybe even joining the companies "healing hands" team. Immediately, however, I began to listen to Ahtayaa's Youtube channel and utilizing the positive affirmations. The course changed my life in all the right ways. Learning the information was exciting and fulfilling. Incorporating the knowledge and using the skills taught to resolve past issues propelled my spiritual evolution in ways unimaginable. I felt so supported on this journey. There is a sense community so to speak. Ahtayaa makes every effort to be accessible. It actually felt as though "my instructor" has been at my side this whole time. I have established a new connection of support not only throughout my continued personal healing process but professional adventures of healing as well. I am forever grateful. I encourage all those thinking or even have the slightest curiosity to indulge and challenge yourself to evolve and assist others! Thank you Ahtayaa my beautiful sister in spirit you are the answer to prayers thought to have fallen unheard inspiring and renewing faith in good pure love and energy. I'm so blessed to share with you that my energy healing practices have taken off! I completed my certification at the end of last year. Shortly after, I completed a yoga instructor certification. Within two weeks, I was invited to host a healing space as a practitioner in a healing house within my community. It's an old abandoned church with an attached parsonage. There are many vendors that host space there from massage therapists to a yoga studio to children's theatre to ME! I am moving forward with my plans to perform guided meditations, chakra balancing sessions, grounding sessions and one on one yoga! I will incorporate oils, sounds, visuals and my love. I cannot express to you enough of how you have changed my life and the trickle effect that is having. Thank you! You are my light! Ahtayaa, thank you so much for creating such an informative, in depth course! I'd been searching for some time to find an Energy Healing Practitioner course that resonated with me, whether that be online or classes held in my area. Nothing was sparking, that is until I came upon YOU. The core course content was exactly what I was looking for, and once I entered the course I became even more impressed! The course software is very intuitive and professionally done. I was also amazed by the amount of information and learning covered; from the comprehensive education covering the many energy healing modalities, various tools used, healing with angels/guides, the number of teaching videos, meditations/activations, and the available PDF downloads (which I love). I could go on.. Again, impressed! The course has successfully provided me with the knowledge and confidence to effectively and lovingly be in service to others as an Energy Healer. However, beyond that it has also helped with my own growth and healing. As for Ahtayaa herself, this wonderful lady exudes love and light. She's also readily available for any questions had. She truly is living her life purpose..to spread love, healing and facilitate in expanding other's truth, love and light. My experience taking this course has been life changing! I am so much more self aware, grateful and fulfilled. This course has given me the tools to live in my purpose and expand to new heights personally and professionally. I plan on using my energy healing certification to share my passion with the Universe. I hope to vend at Holistic/Healing events, lead workshops and plan/host retreats. I also plan to expand my healing abilities to offer more personal healing techniques and services for people. I have nothing but positive feedback regarding the Energy Healing Practitioner Course!!! Whenever I have had any questions the feedback from Ahtayaa herself, has always been prompt!!! She has NOTHING BUT kind and loving things to say right down to her voice! My Angels guided me to this course and it has been life changing for me!!!!! I was headed down the wrong path, unclear, and confused with whats next... I had so many unanswered questions. Because of this course my life is on track. I no longer wonder, what if. I know who I am now, and know that it's okay. I know how to use the gifts that God has given me to make the world a better place!!! Thank you, SO, SO, MUCH Ahtayaa for putting together such a life changing, for the better, course!!!! You're truly an earth Angel! Ahtayaa!!!! I felt so lost after I left my food service job as a baker in a grocery store. I was terrified that I had doomed myself somehow. After sitting at home for a few months not being able to find a job I felt a call to do more than just look for the next means to an end. These teachings have given me a sense of love and safety that I had never known before. A oneness that I knew existed but never understood. I am so blessed to have found you and your teachings and this community of love and light beings. I have learned so much more than just text book learning. I have learned about the being within my vessel. I feel so much gratitude and joy that it has changed my life in the most beautiful way. Thank you dearest Ahtayaa. May the sun shine on you for all your days and may peace surround you always. I loved this course. It is the first online course that I actually completed! I've purchased so many in the past and never completed them. The content from the course was so interesting and thorough regarding the topics chosen. I felt that I really learned a lot and feel that I have greater confidence as an energy healer from taking this class. There isn't anything that I would change! There was so much content and I really enjoyed the class. Thank you!! I was lost in my life until I discovered the world of Energy Healing. When I looked into becoming trained and certified, this course was the first hit on my search list. While I continued to explore I found few other courses that could have held a match to Ms Ahtayaa Leighs amazingly designed program. While taking the course I was enthralled and impressed not only by the information but the clear articulation and layout of complex practices. If I had a question a prompt response was always given. Perhaps one of the most beneficial tools in this course is the Facebook page where new information, positive guidance and never ending support is always in abundance. 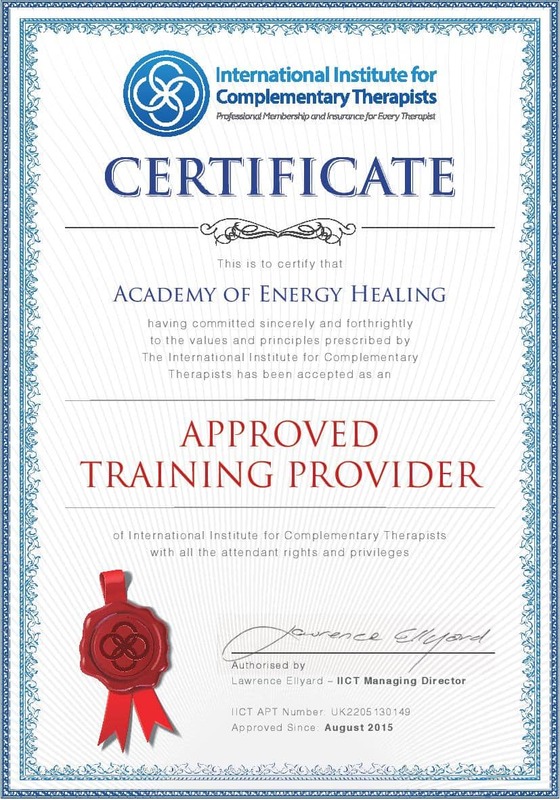 I would highly recommend The Academy of Energy Healing course to anyone who feels drawn to the Energy Healing community. I have never been more sure of anything in my existence, than what I feel with continuing my light worker divine path being an energy healer. This class propelled my spiritual growth and healing, and solidified things I knew were always inside of me, but I never had the answers for. I will be looking into broadening my scope as much as possible so I can make this a healthy livelihood within my law of abundance creation and exchange. You are amazing and I will always look to your meditations, activation's, and teachings. I just loved this course. Each module was filled with incredible information...and a lot of it. Having quizzes, assignments and homework reinforced all of the teachings. I loved that I was not only able learn information, but to be an active part in this course through the practice sessions. I feel as if I have received so so much more than I imagined. I am grateful for that. There are modules that I have gone over several times so that I may absorb the material fully. I would be honored to receive a Reiki Certification. The attunement was beautiful. Thank you for it! I am so grateful and honored to have had Ahtayaa as my instructor! Every thing she says, and teaches resonates with my own heart. I truly feel that I am now ready to start a business as an energy healer. I feel I have been provided solid, ethical training in this course. It's been more than just learning, it's also fun! I've loved every second of it. Ahtayaa is very easy to reach and responds to any questions, and it looks like there are quite a few people enrolled! Yet she makes time for everyone and spreads love and light throughout the world. Thank you Ahtayaa! You've shared your wisdom, and also reminded me of my own light and strength. I love you dearly for all you've given me. I can't thank you enough, but I will go forth and honor you by spreading as much love and light as possible wherever and anywhere I can. I found Ahtayaa about 18 months ago, (my gosh time flies) she has been with me through my journey of re-membering and healing every step of the way. As a friend and a mentor she is truly an inspiration to humanity! I am overjoyed, and gushing with gratitude for her assistance. As for me, everyday I become more aligned with my purpose and path. And as I flow with the universe, my intention is to remain open and limitless in what is in store for me. I am, and have always been in service of The Golden Ray. And I know, the individuals that I am to help, heal, and activate will be placed before me. With tears in my eyes as I write this.. I have absolutely loved this energy course, and hope that you will be doing an advanced one sometime in the future? I have always wanted to do something more with my energy reading skills, but wasn't sure how to go about it. This course has been so enlightening, and I love going through all of the modules and especially when you have the amazing meditations too. My favorite is the archangels. The more I practice energy healing, the more I gain. This has been such a wonderful course and your incredible energy really comes through the modules, meditations, and facebook group. I feel so blessed to have come across your course. Thank you thank you thank you!! Thank you so much for everything! Thank you for your support and for this wonderful platform to learn and experience all that I have since I started this journey at Academy of Energy Healing. You have definitely deepened my understanding and helped me to build the foundation that I will draw upon to start practicing and also use to continue to learn and grow. All of the activations, materials, videos, exercises, assignments, everything has surpassed what I expected when I was thinking about taking the course. I actually had a lot of self growth that I was not expecting. I was able to let go of old hurts and really learn more about myself. This is so profound. I recommend this course to anyone even if they don't plan on being a practitioner but just for self awareness, growth and healing. I referred my sister as well. I feel like I belong here and though I am excited to finish this course I plan to also partake in the activations and interested in the Golden Ray Activations as soon as my finances permit. I plan to begin practicing right away! I am starting with my family and as I get more comfortable I will expand. I will be working from home initially but will travel to my elderly family members who are unable to get to me. I enjoy helping others and I hope to be able to be financially secure in doing something that will help bring healing to everyone! Thank you again. You have given a gift that keeps on giving. This course was a life changer. I am a physical therapist, so I've spent countless hours studying how the body heals according to Western philosophies. But there was always a sense of incompleteness to what I learned and practiced as a physical therapist. So I began to dig deeper on my own to find the true essence of healing, and that search led me here. This course was exactly what I was searching for to complete my understanding of the healing process, and it gave me the tools to begin incorporating energy healing into my own practice. I now plan to start my own holistic physical therapy/energy healing practice to begin to empower my community with the skills to heal themselves and experience life in all its beauty. This course has raised my consciousness to new levels and has opened the door to new areas of learning and exploration that I never thought possible. I am so grateful for Ahtayaa and for her providing this platform of learning and expansion. It is a true gift. Thank you! What a wonderful course, there is so much information but in manageable chunks. I realised I had already been doing energy healing but without realising it. I can not wait to start my practice as a energy healer. Throughout this course I have created a pendulum chart, lesson plans and created my own Chakra healing meditation. So I now feel completely ready to start my journey as an Energy Healer. This course has given me so many different areas to start and resources to look into. This is a great new and exciting start to my energy healer life. Ahtayaa, I am so grateful to you and your soul, as well as those whom helped you create this masterpiece. Like many healers, I myself have had a rough life in order to realize the beauty that lied dormant inside myself. I felt guided to your course by my Angels and it truly has saved my life. I've never felt so truly part of something where I know I can prosper just being who I truly am and helping heal and guide people into their light. I could not read your information fast enough! I wanted to know it all and relish every word. I was healing my friends and family before I found your certification course, and thanks to your information, I am more confident and well rounded within my practice. I plan on healing as many souls that will allow me, with a proper exchange, of course. My ambitions are high and my goals keep expanding. One day I hope to open my own meditation clinics all over the world with energy healing classes and spiritual lessons. I feel it. I feel it is exactly the right time for all of us to gain popularity within the worlds culture. Thank you. Thank you. I would like to thank you so so so so SOOOOO much! I have learnt a wealth of knowledge from participating in this course and enjoyed your warmth, kindness and gentleness, always bringing things back to the basic understanding of oneness. When I started the course just over a year ago, I was going through the darkest days of my life. Everything was crashing down...my relationship, my sense of self... I had no idea what was up, down, left, right. I had read an article about energy healing and had had a healing session over the phone with a wonderful lady the same day and something clicked. The next day I searched for energy healing courses and I signed up after reading the testimonials. I could connect and relate to what many of your students were saying. During the course and in many of your activations I sobbed until there was nothing left to sob about. I met some of my soul family. I became conscious and more open minded to what is possible and what is illusion. I developed relationships with my personal guides, teachers and angels who give me great solace and advice and who I couldn't imagine living without now. So all in all, this was one of the best decisions I have ever made and what I have taken out of it is priceless. I am in the process of mending my relationship and growing deeper in love with my partner and myself, forgiving the past, and learning many new modalities which the course inadvertently exposed me to. I took my time to absorb the lessons and know for certain that I will be revisiting and deepening my understanding all the time. Practicing all the skills I have learnt in the final assessment has given me confidence and clarity about facilitating energy healing sessions. I am eternally grateful for the positive impact you have had on my life. Thank you, thank you, thank you for all that you are and all that you do Ahtayaa! Wow! I have thoroughly enjoyed this robust course. In my former ego life, I questioned if this course would be just another ‘pay your money and get a certificate’ type course. Pleasingly, I , as an academic PhD and as an educator for over 20 years, who has undeniable connections can honestly say that this truth is indeed the universal truth. I have appreciated the homework and quizzes and the structure of the course. This course has helped me to connect with what my scientific brain had been denying for years. My intention is to provide my holistic healing gifts to those that are ‘called’ to me. Dear Friends and Strangers, I have to share my wonderful experience with Ahtayaa's Energy Healing Practitioner Course. It was a true gift. Living in this time with so much information at our fingertips its easy to get lost in the vortex of ego, social media, news media, and other outside noise. Finally, the internet is doing good, connecting like-minded people who wish to help empower each other with love, compassion, and gratitude. Manifesting divine light and pure intention out into the universe fills me with hope. Simply said I am FOREVER GRATEFULL. Ohhhhhh wow! I have fallen totally and completely in love with energy work!! Ahtayaa!!! Thank you so very much for the education, wisdom, spirituality you have brought to my life with your course! Beautiful!!! I have never felt more "right" about anything in my life! Energy healing is my true "purpose in life" and with your help, I have been able to realize that!! I have found myself, know who I am, what I was and am meant to do!!! I will try and not write a book... I can say that before even completing module 2, the major milestone for me was the Great Golden Flush meditation I used as a warp speed catalyst to heal myself (can't remember if it was in a module or on the youtube channel). You see, for the 5.5 months prior to that day, I was struggling with a severely broken sesamoid bone on the bottom of my right foot, and on crutches that entire time, unable to walk on my right foot at all. That day, during the meditation and while in the golden temple and while in the ascension chamber, I received an enormous amount of self love and love from Source, and when I came back into my body, I was able to instantly feel a major shift in my consciousness and in my healing process... and in that moment I walked across the room, down the stairs and up again, danced, and was healed. And knew it. Since then I have learned even more, obviously while in this course, about healing and self healing and have completely healed and grown a severely damaged bone and nerve damage (the surgeon(s) said only removing it would bring me relief, ha!) as well as a torn minuscule in the right knee. I have learned a very large range of topics and modalities in a very short amount of time. I have valued the range and depth of the materials and the way it was laid out made it cohesive for me to easily flow from modality to modality and topic to topic. The downloads are crucial, because there is a ton of great reference material that was put into this course that is extremely valuable for anyone searching for initiatory knowledge int he true healing arts, and of those who assist us. I have already recommended this course to several people, and have already seen the benefits in my own life and in my practice. I have an enormous amount of love and gratitude for Ahtayaa for her dedication to creating this lattice work of opportunity. A golden gem!! I'm struggling to find words which can describe the huge positive impact of your great work in this course on all aspects of my life, so really it is indescribable. I believe you can feel my huge love and energy of gratitude backing up my words. We are blessed on this earth by having beautiful people like you working really hard to serve and dedicate their entire life for that. I have studied your entire course material not for this one only, but the Golden Ray Initiation course as well, which helped me to go deeper and reach this state of mind. I find this course impressively instructive and broad. It refreshed old concepts, and offered me new ones, but overall it strengthened the trust in my inner guidance. When I practice Energy healing, I noticed that brought back vitality and joy into my life. It’s been thrilling. Seeing people shifting, finding harmony, balance and feeling better in just a few moments. I'm ready to include this modality in my toolbox and be the light that illuminates the path of many. I'm also delighted with Ahtayaa's attentiveness and support during the entire program. Thank you Ahtayaa, from my heart to yours. I have thoroughly enjoyed this course. There is so much information it was a bit overwhelming at times and I had to ground myself and refocus. I enjoyed every moment of learning and am so thrilled to take this further. I lost my job in April and have since gained my certificate to be a professional organizer. My initial intent was to bless and/or cleanse peoples homes when I am there organizing but now I am excited to pursue other additional ways to use this education. Once I am settled into my work and paying the bills, I will focus on additional ways to use this knowledge. I want to spread LOVE around and lift everyone's souls. I can't thank Ahtayaa enough for this course. 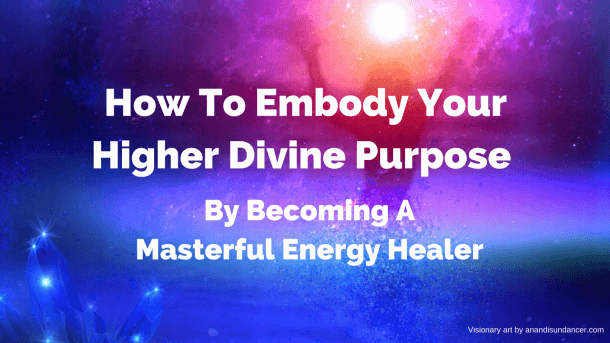 I think that, in the middle of all the material, the course helps you find your own way, your own inner healer and that's what I was here for - to fulfill my destiny and inner divine purpose as a soul ready to reach out to the world. I am working on my website and I hope to be ready to be there for people who need a new alignment and energy in their lives. Many many many blessings to all beautiful magnificent souls that were there for me. I absolutely loved this course because of the ability to be able to work at your own pace, it's very reasonably priced for all of the material it covers and because who wouldn’t love Ahtayaa! Thank you thank you thank you for this opportunity and I look forward to working with you again one day. WOW! Thank you so much for this amazing experience Ahtayaa! I am blessed to have come across this information and will value it and all of the positive energy that came along with it. I am thrilled with this energy healing practitioner course. I really feel like I received good information and practical, hands on homework, the support and feedback are great. This is the direction I have been heading in for some time now and this course was exceptional. I also love watching the webinars with additional information and believe the ongoing support will be a great part of continuing to learn. The format of this course was incredible. I loved the additions of videos. The way this course was designed kept my attention at all time. Thank you so much. This course was absolutely a wonderful gift and I am so happy and grateful I took this course. She provides wonderful meditation videos that has an impact on how you see life in general. Her voice is very soothing, which helped me relax even more during the mediation videos and connect with my true inner self and my higher being. I have a much better connection with the universe and understand the true meaning of unconditional love. Since taking this course, I am much happier, confident, loving, peaceful, calm, and overall, a much better person than I was before I took this course. This course has allowed me to open my heart and fall in love with myself and now I can share this feeling with others. I feel alive again and it's all thanks to this course. The lessons in this course are wonderfully put together. I really enjoyed connecting with my animal spirit guide. I also enjoyed learning all of the different healing touch therapies that are available besides Reiki. I really like Pranic healing, but my heart wants to learn more about Reiki and I would like to become a master. Eventually, I would like to open up my own health and wellness practice where I will have energy healing sessions, yoga sessions, meditation sessions, and stress management classes. I want to use my energy healing to help others. I want to educate my clients on the power that they have within themselves to heal themselves and others. I want to share my experiences and passion with my clients so they can feel the unconditional love from the higher being and Mother Earth. I want to educate my clients on healthy lifestyle practices that will fulfill their lives with happiness, joy, peace, balance, and love. I hope my clients will continue sharing their unconditional love with every person they meet in their day to day lives. For me, taking the course to become a Certified Energy Healing Practitioner has been illuminating and transformative. The journey of the student that feels inspired, committed to get the certification is a progressive inner transformation towards the highest level of awareness. This course is all that a grounded, responsible student would need to evolve into an authentic, high-level practitioner. The study begins with a solid, extensive knowledge and system-based comprehension of the multiple aspects of the energy systems with chakras and aura, meridians, professional protocols, preparation, protections, grounding of the healer and the client. Very informative, comprehensible, covering the main areas of healing modalities, the course teaches you how to assist yourself and your clients to heal the physical, emotional, spiritual issues, how to expand the awareness and to find the authentic self, and how to fulfill your true human potential. But all these wouldn’t be complete without the whisper of the Gold Ray Angel watching over you always and in all ways. The name of this highly gifted angel is Ahtayaa. Her unique, Godly inspired, very powerful Golden Light activation meditations and the webinars are very powerful spiritual tools assisting the student on the self-growth path connecting him with the Truth. Every time you practice the meditations you grasp another idea of what Truth means in its infinite aspects and you lift your consciousness higher and higher until you have the enlightenment!!! We are, all of us the Emissaries of the Divine Light!!! The Consciousness of Christ is in us! A tremendous purification, regeneration, transformation, activation process leading strongly the students to become valued energy workers for the highest good for them and all that exists. I am grateful that Ahtayaa came into my life and I am proud to be her student. As I walked the path of self-discovery, self-awareness, I felt encouragement, blessings, love, protection, and support coming from her Golden Light presence. It is tremendously empowering to have her by my side. Thank you for the Amazing Course!!! I am so Excited and Proud of Myself for taking your Energy Healing Course. This course was way more than I thought it would be. I healed myself in ways I didn't even know I had healing to do. The resources and extra reading is Fantastic. I look forward to continuing to heal myself and my loved ones. Thank you for this course. As an EMT I greatly enjoyed being able to help care for people's bodies and in-turn positively affect the spirit. I have since experienced a brain tumor and am no longer physically qualified to be an EMT. I am blessed by this experience in many ways, but the most prevalent here is the fact that I got to discover a whole knew approach to healing and people's bodies being more than just physical. In the future, I plan to pass this course and take a Prana healing course and healing hands course. I will turn in applications at several massage therapy and energy therapy shops in town and possibly the hospitals and see where my next step leads. Thank you for the part you have played here and the help and kindness you have provided. Dear Ahtayaa, thank you for being such a wonderful and meaningful mentor in my journey as a lightworker. Through out this course I gave myself the time to exercise the training you have provided and through the guidance and information in the course I am able to tap into my highest realm and listen clearer and finding more peace. I have a more healthy lifestyle as well. I have learned so much through your course and all of them is exactly what I want to learn. I want to be a psychic and an energy healer. Will want to learn more indept Reiki healing and yoga poses so that I can expand my healing programs for my clients. Hope I can continue working closely with you and always come to you for guidance. Thank you so much for being the light and love in my journey. Thank you Thank you Thank you. This has been such a beautiful experience and has far exceeded my expectations. It has been both an honoring and a blessing to take part in this certification program. 🙂 Love & Light!! This has been an AMAZING course! As a Reiki Level II Practitioner, I learned so much performing healing sessions for my clients but this course has added so much value to my life and practice. I plan on revisiting a lot of the information as it will forever be pertinent to my growth. I will continue in my practice providing energy healing to my clients, family and friends. I thoroughly enjoyed this course. I gained a lot of insight into energy healing of which I knew nothing of. I was led to you in search of a healing course because I was destined to be in the field of healing. I loved the fact that this course taught a variety of healing methods that a practitioner can choose or be guided towards. I am very thankful that this course is certified and also the ability to obtain insurance world wide. I loved the attunements, I found them very effective and relaxing especially the Tibetan singing bowls. Your voice is also very relaxing as well, full of love and kindness and that shines through. I would recommend this course, well worth the price paid. I will be using the tools learned here to being my own energy healing career. It has benefited me greatly and has opened up my love and understanding of this holistic practice. I have taken several different courses through my years as an intuitive reader but none of them engaged me or kept me hungry for more like this. I found myself looking forward to each lesson and often times staying up quite late unwilling to put it away! I look forward to implementing what I learned as I move from doing my work mostly online to beginning a local practice. I am over the moon with this course. I have learned so much about energy work, about self care and about myself while taking this classes. Right before finishing this I took Reiki class level I and II, which I have learned first from this course. It was an amazing experience. Ahtayaa this course has been such a gift to my life, I can't thank you enough. You have created a very thorough training, with every imaginable area and modality included. The way you bring in other healers to share their wisdom and perspective is such an inspiration and a gift of true healing presence. What I mean by that is the collaboration is such a great way to connect like souls and to have BIG impact with healing the world. The last few years I've been trying to find my place in the world, what do I want to do and who do I wish to Be. Early on in this course that all became very clear to me. I AM an energy healer. I feel that I have been doing this art for millennia and it is time to join with all of the others who have this calling and work (and play) hard to make the transition happen smoothly for Earth and all life evolving on her. I wish you all the best life has to offer and I look forward to our continuing connection. This surpassed my expectations for an online course. I have learned so much that when I attended an Open Day at a Healing Centre I understood everything that was happening, even able to contribute to the conversation. The support, resources and affirmation/meditation emails sent regularly were perfect - it kept me in tune and focused on becoming an Energy Healer. This course helped me find my calling - Sound & Vibration with Tibetan Singing Bowls. I went to Chiang Mai, Northern Thailand to complete a course, which was helped tremendously by the knowledge I have gained. I have downloaded everything and will refer to the modules and information regularly, knowing each time I do I will learn something else. I will always recommend this course to anyone interested in Energy Healing. I have never enjoyed a class more than this energy healing course. I loved all the presentations and information given. Being able to complete the course on my own time was very helpful. I am excited and looking forward to starting my journey as an energy healer. I hope to become hired in the near future to start my new career. Not only has this course provided so much knowledge and insight into energy healing , it was transformative and revitalizing to my whole self. The course has prepared me mentally , emotionally and spiritually to start my journey as a practitioner with confidence , balance and harmony with myself and all beings. I am radiating pure charisma and excitement to be able to share my new knowledge with all those I can. Thanks to this course , I am now dedicated to consciously work on my self in order to be a clear , universal channel for energy to flow throughout my body in order to help others heal themselves. Ahtayaa is guiding us with her secure and directive hand through the worlds of Ascension, from Alpha to Omega with certainty and exactitude. She starts ALL and brings as well all to the END, offering profound knowledge of uncountable healing modalities. What I loved very much was the moment she said: Do not think too much and too long whats now right or wrong, if yes or no..or better the other way round or not...DO NOT HESITATE, JUST DO IT. In this way she gives us MISSION AND MANDATE TO DO IT TO HEAL. She is the Wayshower, the Stargate, the DIVINE GODDESS who brings us HOME, to where we belong. We are stardust, we are golden. And so it is and so it be. Thank you sis for making us family. It has been an amazing journey that I remember I was so excited to study my hands were shaking. The course contains SO MUCH MORE than I could imagine. Thank you so much for creating such a great program! I know it's a new beginning for my transformation and others around me. Thank you so much for adding Reiki Attunement as well! Thank you so much for being part of my journey to become a Certified Energy Healing Practitioner. The journey to you has been quite the ride - from illness to health, from licensed secondary teacher to practitioner. I am meshing these two worlds together bringing everything I have learned to those who need help. I prayed for a program like this one and God knew exactly what I needed. You have been an answer to a prayer! I have already been licensed in my home state and I am working towards building my practice. I even had 6 clients this week! Keep me posted on your others courses. This one was wide ranging and comprehensive on so many modalities. I could work at my own pace and time frame. I really can't tell you how grateful I am! This has been an amazing experience, and I'm forever grateful to you for introducing me to so many amazing spiritual tools, paths and masters. You introduced me to Pranic Healing and Saint Germain with the Violet Flame, and I can't even begin to explain how they have changed my life. Although this is a digital course, I felt your presence along the way, and that has been a very pleasant experience. As an energy healer, I hope to give back to the Universe and the blessings she's been granting me through raising other peoples vibrations and helping them neutralize their ailments. Thank you so much, Ahtayaa! I cannot even begin to thank you for creating this course. I have learned so much about myself and how this is what I really want to be doing with my life. The course is wonderfully set out and I love being able to go back over things as I am learning. I am in the process of creating a "love works" workshop which is a 3 hour workshop exploring the reasons people have lost their self love and how important it is and how to get it back!!! My healing training will assist in this, but I also, after practicing on people, really feel this is a calling and that I want to start my own one on one healings as a side business and grow it to wherever it may lead!! My experience with the energy healing course was a journey I never thought I would ever experience. I have always liked the body and how it functions and operates. Learning the Chakras and the Auras was so unique and mind blowing. I am going to do the Reiki classes 1,2,3 to Master my healing techniques. I am going to practice on myself and my family to be the best. Thank you so much AHTAYAA LEIGH for creating this teachings for all whom love energy healing. Love, peace, blessing to you. I have been soul searching for the past 16 months since my husband passed away in a boating accident. I have always felt a connection to the universe and to healing. I have to say that this course has been an amazing experience for me as well as an incredible learning tool. I cannot thank you enough Ahtayaa for sharing this with me and I look forward to helping to heal others and gain more knowledge through more courses in the future. You have changed my whole world with this course. I cannot thank you enough. Blessings to you Ahtayaa. The whole experience has changed my entire perspective to life. I feel that I have actual aim in my life now. The enlightenment is incessant, the bliss that feel incomparable to any other experience. I actually am able to realize energy around me, I am able to study the Aura of the people. I realized that whole universe understands one common language that is LOVE. On the content of the program, it is quite comprehensive. It covers all aspects available which facilitate the energy healing. Must congratulate Ahtayaa Leigh on this initiative. Ahtayaa you are doing a wonderful job by spreading this knowledge. God Bless. Dear Ahtayaa, what you offer is so incredibly amazing and so powerful. The energetic shift you facilitated for me was nothing short of perfect, you are an excellent teacher, who knows how to amplify your energy healing skills to magnify the healing for yourself, for others. I am most grateful that I was guided to this course, The Energy Healing Practitioner Course was extremely well presented, concise and very informative. I live way up in the Sneeuberg Mountains and would not have easy access to such a course - so what a blessing. One of the things that really stands out for me - was it felt as though Ahtayaa was here. Thank you Ahtayaa for the sharing who you are, guiding and 'holding' this space. I have been getting a strong message over the last while that I must be a healer. I felt at a loss as to how to do so - but am excited to begin my journey. I facilitate courses in Nature awakening people to their inner Nature and connecting to Nature around them. I have a fascination for the mind, body, spirit link so would like to be available in that way. This course has been a beautiful journey for me, a continuation of a journey that I have been on for the past two years. Following personal trauma and its healing process, I found my rise through my awakening. Finding the energy that I receive so strongly, I followed a call to Reiki and have now completed level 2. This course has been a perfect compliment to the learning and healing I am so drawn to. Being introduced to so many modalities of Energy Healing has been extremely fulfilling for me. And I find myself incorporating various modalities into what I am beginning to do. I receive energy, love and light through reiki, crystals, meditation and sound healing. I have learned through this course to incorporate all, plus a few other methods of aura clearing prior to a reiki session. This course has offered me further growth and learning, and a stronger ability to connect to my highest self for the betterment of myself and others. I work as a personal trainer in a women's gym, and have now begun to offer reiki / energy healing as an outside path. I am meeting with my boss next week to see if there is any way to bring this into the gym world (as women have so much healing to do, I see this as a beautiful opportunity). My work as a personal trainer has always brought a mind/body connect, this course has offered me beautiful insight as to how to better merge it all. So grateful for the journey I am on. So grateful for the learning you have offered me through this course. I rise so that I may rise, I rise so that we may all rise. I have absolutely loved this course. It has renewed my interest in becoming an energy healing practitioner. I value all the information that you have imparted to us, knowing that I can come back to it anytime. The duration, assignments and tasks have been easy to do and manageable in my daily life. I will miss doing this course but feel that I will continue reading all the reference material provided, and come back to the videos. This course has also helped me to realize that I no longer need to be afraid to be out there because there are so many others on the same path. Let us all continue to share the love, and the healing, because I so believe we can turn the world to one of love, peace and understanding. First I would like to thank you for just being you! This course has taught me so much about myself. I have received several different layers of healing. After taking this course, I feel alive and in-tuned with who I am. I feel like i have found my purpose. This course is something I believe every living soul should take. The impact of this course is beyond amazing!!! I thank the great divine for leading me to your course!!! Never stop the work you are doing. There are so many souls waiting to cross paths with you!!! Hey how's everyone doing. I hope everyone reading this is happy and in good health. This has been a great course, absolutely thorough from start to finish. Ahtayaa , hats off to you luv. I appreciate your involved completeness of this advance course on Energetic Healing. You left no stone unturned when it came to presenting this material to the world, specifically your students. You have been a great teacher. Not only has my knowledge of using of bioenergy improved tremendously due to this course but also how to use it to help heal others who are suffering and in pain. To me I think that's the reason why we as healers and future healers are called to this life's work. To all my fellow healers and future healers...let's continue to be that shining light in this dark and dying world. There may come a time that we may be the only ray of love , hope and kindness that a person experiences. Happiness , Health , Love and Vitality to everyone. My journey has slowly brought me to where I am meant to be and I am so grateful I found the Academy of Energy Healing. All the information presented was flawless and flowed beautifully within each Module. I have enjoyed, learned and grown from everything you presented. I feel empowered and am excited to embark on this new journey as an Energy Healer. Ahtayaa you are an inspiration and I love listening to your videos and healing activation's. I aspire to express this work with the same passion and conviction you have. You are an inspiration and your work with the Golden Ray is powerful! This course has been a fantastic interesting journey for me. The journey continues and everything I have learned will be used for the highest good. I am so thankful for the opportunity to be able to take this online course. Your knowledge is a gift to all of us who take this course. It changed my life and hopefully I will continue changing others life for the better after taking this course. Thank you so much for making this possible! My dear Ahtayaa, first I want to thank you and the whole team working with you, I guess there are some people working with you. I find what you have prepared for us - the pdf materials and videos to do with different healing modalities - are marvellous. Your personal Golden Light meditations are wonderful and I have started incorporating them in my daily spiritual and healing work. They are part of me now. I want to tell you that as soon I had signed for this course divine forces started working with me very actively. 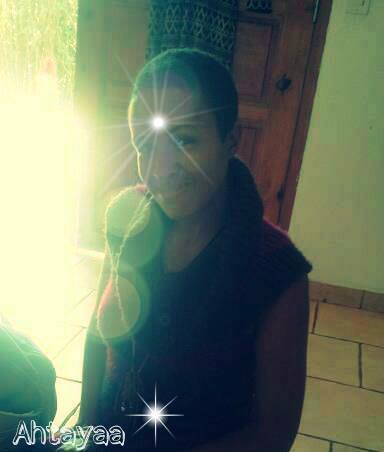 Just because I had expressed a wish to be the Healer of the Universe it all started manifesting in everyday life. I had already been working as an energy healer, but from that time on it was a rocket speed. I started writing journals and new things started being opened for me as new activations. Just like you have taught us my inner voice always asked me if I was ready for a new activation. My guides asked me to write a book and I know "The Book of All That Is'' will be published this year. It's about healing all the world in a very simple way. All the people may help themselves heal and improve their lives and live in peace, harmony and balance and abundance. This goes for all the living creatures in the Universe and the life of each one of us, the past, present and future can be improved and changed. This book will be open for all, unlike many teachings of big masters that have been kept hiddedn or open for just a few chosen ones. Owing to you and resoucerful materials of yours, I must say that I have benifited a lot especially feeling one with a big family of world healers. Again, I thank you and feel obliged to carry on the knowledge to anyone interested in helping themselves grow and live a healthy life. This world is a beautiful place to live and I LOVE IT. Ahtayaa, This was truly an amazing experience that seems to have been orchestrated by the Universe. I really enjoyed the overall theme of energy healing with the subfocus on the different modalities. I feel so ready to do this now! I also really enjoyed the embedded videos that were available also on Youtube. They gave quick, practical reference to what was studied. I especially loved the multicultural, multimodality, multispiritual aspect of each lesson. It was so nice to see all of the cultures who practice energy healing (ok, like, all cultures) represented and mentioned. I have been attuned now in Reiki level one and two, but really feel like these resources will allow me to practice energy healing in a manner that seems more intuitive and not as constricting, pulling from each of the modalities that were studied. Thank you for providing this detailed overall umbrella course that somehow digs deeply into each, while still giving an overall picture of the topic. How'd you do that?! Amazing. Thank you Ahtayaa for being a conduit of healing and light within me! I appreciate you and the Divine Spirit that brought you to this work! Back in September 2016, I was sitting at my dining room table and heard the words gently roll past my ears "The Golden Ray". I had no idea what that was, so I googled the Golden Ray and found an article that Ahtayaa had written, which included a meditation called 'The Great Golden Flush'. I began doing the meditation and clearing out past fears, filling up with light, and feeling more clear and alive than ever before! Next, I signed up for her energy healing course and started doing more of her activations. That October, I did the DNA activation with her and after I had finished, I felt very sleepy. So I took a nap, and then woke up and went to be with my husband. That is the moment that I believe I got pregnant. After that point, I continued to do the activations that Ahtayaa offers, and felt like I met up with my little baby's light body in the Golden temple. Every time I went there, she was there. It was such a gift. During one of the activations I began to ask what we should name our little girl. I began to hear the word Clarity come through. Again and again the word Clarity felt like it was raining down on me. The next day I did another meditation, and heard spirit say "Clarity can be her spirit name, but you can call her Claire on Earth." Then I guided my husband and I in a meditation to meet with her little spirit. He received the same message. This is when we knew that Clarity was her name and would be filled with golden light. On July 8 2017, her actual due date from conception, we went to the beach, with the rising of the full moon, to do a pregnancy release ceremony that spirit encouraged us to do. We addressed and released our fears, and called her spirit to her Earth body. The next morning, I did the DNA activation meditation again and felt like I only saw an outline of my little Clarity's light body this time. As I was in the chambers, I saw her light body enter my very pregnant belly and that evening I went into labor. I share this experience with you because I'm so touched by the work that Ahtayaa is doing. She is such a gifted teacher that exudes love, and her caring nature can be felt from miles and miles away. The information, upgrades, light codes, guided activations, knowledge-based energy work, and certification that she teaches is absolutely wonderful! I feel so blessed to have connected with her here on Earth. Ahtayaa has a gift for taking the invisible and making it real. She gracefully blends the two worlds of spirituality and human existence like a true cosmic artist. She makes all her programs affordable, easy to understand, and you can feel her love in every post, email, and meditation that she shares! Since hearing those words 'the Golden ray', I feel like I have truly evolved and have had tremendous soul growth from working with her teachings! Thank you Ahtayaa for following your light and helping me follow and share mine! I did not realize how much I was going to love this course. I've learned so much and I can't even put into words how much it's changed my life. Any questions during my course were answered promptly. It was easy to learn especially with so many videos. If you're on the fence about taking this course - I'm going to tell you that you will not regret it! Working with the Golden Ray and Ahtayaa, has completely changed my life! I feel so grateful, to have met such an amazing, gifted, and integrity based women and be attuned with such an amazing gift that I know will help so many people and raise the consciousness of our planet. In the beginning I didn’t know how my body would react to the attunement, but the next day I woke up and felt light like a feather, and felt a shift in my energy, I advise going to sleep at night with a rose quartz or amethyst crystal. Over the course of three months, I began to see orbs of light, and sparks of light flash here and there, psychic abilities that were almost dormant, coming back to me. In the beginning, I felt tired every once and a while, but it’s all part of the process. Now, I have energy all through the day, and I barely worked out, until this past week. Day time naps, are gone as well, and I have noticed my negative self-talk disappearing almost as if it never existed, as if I’ve tuned into a new person overnight. But don’t take it too seriously. There, were days, where I cried snot bubbles, felt low tolerance for what no longer served me in my life, and felt confused for no reason. People around me, started to notice and feel this shift in me , so be prepared for people that won’t be able to vibrate with you, that aren’t there yet in their life. At first, I didn’t know that I could be doing others things, and still get attuned to the golden light. We didn’t get on a video call together or anything, but it’s all about being open to receiving it. So, if you have gotten attuned or are thinking about getting attuned and getting on video is not your thing, that’s totally okay! The reason, I got enrolled into the program is because I was led by spirit, and I wanted to learn about energy healing and the different modalities, as well as become certified and be able to utilize what I’ve learned and obtained to help others to heal from dead weight that they’ve been carrying around for years, life times, to recover from energy suckers, and childhood trauma, anxiety, fatigue, and so forth. I know how it all feels, and with the power of the Golden Ray, we no longer have to stay in pain, stay in suffering and broken hearts, but have the ability to live a life full of self-love, freedom and enlightenment. What I liked most is that I learned things, I never knew about and whenever there Is a question I had about a certain payment, or course material Ahtayaa was always there to help. It’s not like some courses you get on udemy, and every video you watch freezes, and you have to wait a long time to hear back from someone, everything is well organized and full of valuable information. This has been a very interesting awakening and ascension process. It’s all worth the investment and I recommend this to anyone that is ready and open to all it has to offer, and know that you’re loved and in safe hands. Alexus is an Initiate of the Golden Ray and uses the Golden Ray in her healing practice. Thank you so much for this course! I thoroughly enjoyed it! I loved how you encompassed all the forms of energy healing for our education which allows us to become very well rounded in our practice! You have such an open, loving heart that is so attractive and beckons people to your presence! Keep on making the world a better place! I was looking to broaden my horizons in spiritual healing using multiple faculties and I received this and more in this class. After praying for guidance on continuing my souls purpose, Ahtayaa's countenance, and my spirit agreeing with her spirit were my drawing factors to this course. Blessings and much love and appreciation. I absolutely loved this course. The information contained within is invaluable. I love the mixture of videos and PDF files for modules and the resources provided to me for further learning. Much easier for me to learn this way, so the content you created was beyond perfect in my book. My hope is to open an energy healing center that has several people working together to help and heal others through a whole approach. I would love to have energy healers, a nutritionist or two, yoga instructors, etc all working together for the highest good of each client that steps in the door. I would love to also have the center be a place of constant learning and growing offering group meet ups for the general public. Some free sound healing events and group sessions. To bring the community together and more aware of the options they have for healing their bodies, minds, and souls. For those who are guided to heal and have a thoroughly deep and holistic understanding of healing then "The Energy Healing Practitioner Course" is for me the only course to engage in! Totally ground breaking and so well researched it gives the beginner all the tools one needs to make a vocation in healing an absolute success! Highly recommended! I have known Ahtayaa Leigh for a few years now; she is without doubt one of the most unconditional and inspiring Earth Angels; I have ever had the privilege of knowing and working with. Her approach to wellbeing and God is one of pure intent. I have only ever known Ahtayaa to give 110%. Over the years she has helped strengthen my core being with the Hope and Faith of the beliefs that she so strongly possesses. That's the beauty of it, Ahtayaa offers all that she is to helping others on their light journeys. Ahtayaa will help you to segregate the illusion from reality, guiding you to finding not only yourself but the way back to God. I have to say that my life has felt ever richer and fuller since I have had the honour of being apart of Ahtayaa's life. Believe in her as I do and you will see the transformation in yourself. You couldn't have been guided to a more loving soul. The help and support I have been gifted over the years has been life saving. I love this beautiful angel and I know that Ahtayaa Leigh will also help you transform your life too, enabling you to beautifully work from your higher self. The lessons were well planned and thought out and I loved the fact that each module really flowed well and the information was cohesive and made a lot of sense. My hopes for the future are to continue with what I've learned in this course through study and practical application and to also get certified in Reiki. I just want to start out by sending love and gratitude for this course! I was extremely grateful to gain the knowledge to go with the intuitive wisdom that I had already been experiencing in my life coaching business. This put it all into tangible advice and added so much more! It was super packed with information and presented well. Love it! Ahtayaa is enthusiastic, no passionate, about what she does, which is incredibly inspiring. She is very knowledgeable and thorough in her approach ensuring that everyone is understanding all that she expresses before moving on to the next topic. A brilliant teacher for our time. I have really enjoyed this course. I started my spiritual journey a couple of years ago and this course really showed me how far I have come in my knowledge from other short courses, my intuition, developing my gifts, practising on my friends etc. I know I am here in this lifetime to be an energy healer and I feel so blessed to be part of what I call \"God\'s Army\" and helping others as they awaken. I feel it is an honour and I came into this lifetime with these gifts and now is the time to spread my wings and fly. Thank you for this beautiful course and I look forward to the future webinars as well. I truly enjoyed this course! I've taken another energy practitioner course before many years ago, this class was very refreshing and I liked it much more than the previous. You can really tell that you love what you do Ahtayaa! I have been working on opening my own energy healing practice for a while now and am almost there!!! This is my absolute passion! Thank you!!! Lots of love and light! This course enlightened me to energies of healing that I was unaware of. Prior to the class I was a medium/psychic, healing people with every reading . This course taught me how to help an entire person heal physically, emotionally,and spiritually. Because of this couarse I have become educated in fields of healing that will be beneficial to me and others as I practice. It is totally your pace and your willingness to learn and grow . I enjoyed this course beyond all my hopes and goals from when I started . I have nothing only sheer gratitude for you, the healing you do, and the wealth of knowledge you have provided in this Energy Healing Practitioner Course. I have experienced a profound enlightenment beyond measure throughout this course! I so appreciate your timely feedback and your kind words. I appreciate your strict grading style and how you make these experiences teaching moments. This course is jam packed with pure light! This healing was so intense and needed to the core. As a Registered Nurse Educator, I have, for the first time, been able to receive healing for myself! I can honestly feel my heart chakra radiating outward and inward. The love, joy, peace, balance, and harmony is so real. I wish I could save this entire course as a reference so that I could have access to all of these wonderful videos and material in one location. You are amazing! I soooo needed this!!! This course was really amazing! Thank you for all of the information and resources you provided. This course really complemented my Reiki knowledge and practice. It has helped me further deepen my connection with my body, mind and soul. It has also provided me with additional tools and understandings which will benefit me tremendously in Wellness business. I have recently completed my Crystal Master certificate and I’m also working on completing a Wellness Coaching Certification. My hopes are to bring energy healing to as many people as possible. I’m also working towards owning a Spa like, retreat center, where people can access various types of healing modalities and alternative therapies. I truly enjoyed how this course was put together. I found it easy to navigate and understand. No stones where left unturned when it came time to learn the different techniques and all the extra resources were very in depth. I am truly grateful for the experience and this will definitely be an asset to my practice. I feel confidant that all will go very well for me as an energy healing practitioner. This has been an absolutely great experience traveling through the world of energy healing. I'm extremely science minded, being a physician and surgeon. But I have felt like something was missing to my practice of standard traditional medicine. This class has put together an outstanding foundation for energy healing, in easy to understand, enjoyable to follow modules. I'm very excited to add these techniques to my medical practice in the hopes to become a more complete healer for my patients. I am truly grateful to the Universe for getting me on this path of becoming an Energy Healing Practitioner. Before doing this course, I had limited knowledge on this topic. Although I have been listening to some topics of energy healing from other sources, but didn't really understand the implication or the scope till I did this course. Thank you so much Ahtayaa for sharing your vast knowledge in this field and giving a proper insight into some of the various kinds of energy healing that are practiced. I have come across Quantum Touch as part of the course and it resonated well with me. There was a workshop close by, so I have finished the part 1. That knowledge, along with all the other knowledge that I have gained in this course, I am feeling that I can certainly be of help to every one who needs healing energy. I have started practicing it on self and my family. I understand that practice will give me more confidence. I would like to pursue further in gaining knowledge so I can get better at it. Love to Ahtayaa for letting me be a part of this wonderful journey. Thank you for providing this course Ahtayaa! It has open up another world for me. Because of all the information here, I started researching and learning more of all different healing modalities, which has helped me heal myself tremendously. I hope to continue to learn more about healing and once I am certified, I will help others to heal. I will share my knowledge with the people in my country and bring happiness and light to my community. I love that this course make it all possible for me and I am excited for all the people who will get to know the light more. My sincere thank you to you and the course! Namaste! The course itself, I found, stimulating, informative, encouraging, flowing and challenging! Forgiveness class, powerful. Need I say more! On a personal level, the biggest thing I've learnt is to master self doubt. There were a couple of occasions of self doubt. Avoiding rather than moving forward. I've learnt that it is completely pointless!! It's a fabulous feeling to have eureka moments. To trust myself, go with the flow. Its all good. Thank you Ahtayaa. Thank you so much Ahtayaa for this beautiful course in Energy Healing. When I began I was already practicing massage therapy and reiki healing. This course has taken my energy healing practice to a whole new level, and I've discovered healing gifts I've had inside of me waiting to be explored. I look forward to taking this knowledge, combined with the knowledge I've acquired over the past 19 years of body work and creating an immersed body healing experience. Thank you again for sharing your wisdom and healing gifts with the rest of us! Good evening Ahtayaa, Let me start by saying I have had a wonderful journey and I am so excited in finishing this course. I have learnt a lot and I am discovering there is more to life than meets the eye. Your meditation videos are amazing and I listen to them when ever I am overwhelmed from with my job. As an Energy Healer, I want to be able to help people, people that want to be helped. I don't want anything back from anyone if I help them. To me, If I can help just even one person, and by helping them will make a difference to their life...... well that is enough of a payment for me. Ahtayaa once again thank you for this wonderful course and thank you for having me as a student. The course has given me great insight. The resources you have provided have been invaluable it gives a wide spectrum of the modalities. I am really looking forward to going out into the world after feeling that I have found my soul purpose in life. I have also had this passion and urge to help other, but still felt as though something was missing from my life. I went on a journey a few months ago and had some healing done. This was the greatest gift I could have give to myself and I want others to experience that too. Your course has been very digestable and given me the confidence to learn more about the Healing world. Thank you. I have really enjoyed this course. I have been interested in learning more about energy healing for several months now and was so glad that I was led to sign up for this course. It was very comprehensive but was not overwhelming. I absolutely LOVED all of the meditations imbedded throughout and am looking forward to receiving the monthly webinars to continue learning. I hope to continue to learn about energy and get more accustomed to feeling it. I love already being able to feel energy running through my fingers and it is amazing when someone else feels it. I am going to continue learning and see where it takes me. I have learned VALUABLE lessons that I will be able to use the rest of my life to help myself and others - and for that, I am forever grateful. Thank you, Ahtayaa Leigh! My journey with Energy Healing has been nothing short of fascinating. It has transformed me from a skeptic to a zealot. I have gone from "Its a Hoax" to "It's beautiful! I am going to get this out to the world"
I believe energy healing is an empowering experience for anyone who wants to take complete responsibility for their life and want to empower others to lead a life of vitality and well-being. This was a very educational as well as enjoyable course. I learned so much about many modalities of Energy Healing. I'm looking forward to beginning a long and beneficial career as an Energy Healer! I really enjoyed this wonderful energy healing course. I learned about several healing modalities and got more than I expected! This was very well put together in my opinion. I enjoyed the educational and interesting videos and the live healing with Ms. Leigh. Dear Ahtayaa, I appreciate the structure and clarity of the course! As I am not a beginner as a student of spirituality, many concepts were quite known for me but your heart-centered and service-oriented approach resonates deeply with me. I know that it is also my Soul purpose to contribute to the global evolution of consciousness and spreading Love and Peace on Earth! I love all of your additional resources, especially, your guided meditations like, DNA activations and so on. They are very high vibration! I really hope that receiving the Certificate for this course will give me an inner security to make Energy Healing my main profession and also a source of income! I had the Golden Ray Activation last year, I hope to integrate that more in my work! THANK YOU, AMAZINGLY BEAUTIFUL, Ahtayaa!!! I'm really excited to continue to grow in my energy healing! This was a beautiful course that taught me really applicable, in-depth knowledge of the different energy healing modalities, in an accessible way. This course covered such a wide range of subjects in energy healing and it has been such a joy to work through that I've worked with it every day since the subjects were so enjoyable. It was lovely working with the guided meditations and I've learnt so much. Thank you. I will miss this. I have really enjoyed this course! It was very thorough and detailed. The videos were well done and informative. The meditations were awesome and I continue to do them often. I will highly recommend this course to others. I have great experience with this course. It was very easy to follow all classes and learn from. My future work will be upgraded and I am very happy because I will be able to offer my clients better well bing and share my learning experiences with them. I am a massage therapist, I also do iridology and energy healing it will be icing on the cake! Special THANKS to Athayaa. Thank you for helping others to found themselves!! I am so appreciative of receiving the education from this course. I learned so much more than I expected and feel so much more 'well-rounded' in perspective, and confident in adding energy sessions into my wellness business. I am inspired to seek more education in some of the modalities introduced to me during this course. Thank you so much for making this such an enjoyable course to take. The format used was very easy to navigate, thank you. Thank you so much for offering this course! I enjoyed it so much! I have been a student of energy healing for a few years now (self-taught), and your course made me feel complete in so many ways I can't even begin to explain. I like how you incorporated different Youtube videos, as I felt like it gave different perceptions in each area of energy healing. I look forward to more courses you offer in the future! Many blessings to you! I thoroughly enjoyed this learning experience of energy healing with Ahtayaa. Feeling lots of love, positivity, calmness, good vibes from you. Meditation, love, healing, should be incorporated in our everyday living. Life will be more meaningful and fulfilling. Thank you very much Ahtayaa. I found the course to be fascinating. All the different topics you touched on was great including the videos. Very impressive course and I enjoyed it tremendously.